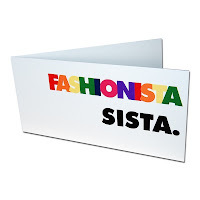 We've just added something a little different to our website, in the shape of fashion greetings cards from The Fash Card Co. These high gloss cards come in 12 different, fashion expression and quote designs. They make fantastic cards for fashionista friends, a gift in their own right - they look awesome in a frame! Our faves from the range include the wonderfully OTT "It's Vintaaage Dahling", "Passion for Fashion" and "Fashionista Sista". 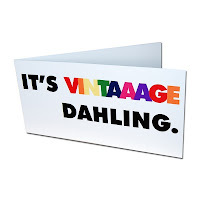 All fashion cards are priced at £3, including delivery.